Assembled in America, and available to the world once again. 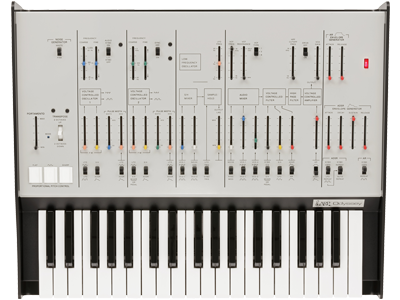 The long-awaited full-size ARP ODYSSEY is now available in a limited edition. 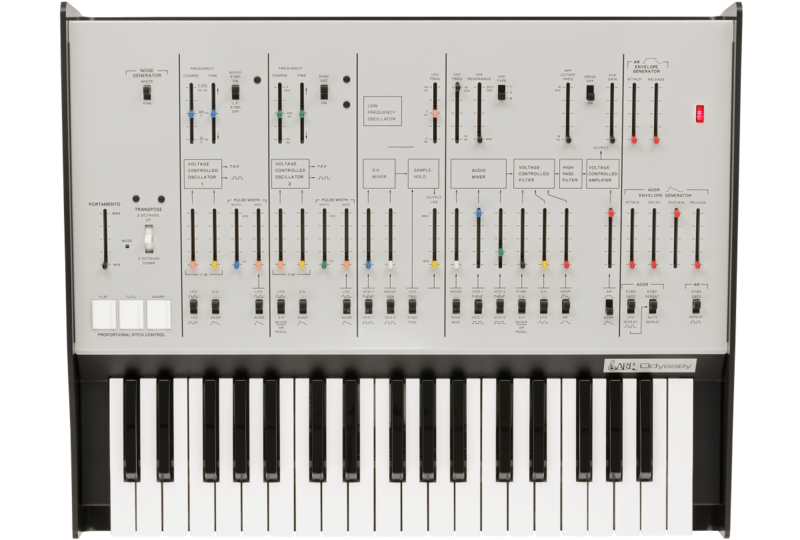 KORG's next move is an even more faithful recreation of the original ARP Odyssey: it's the full-sized ARP ODYSSEY FS. With a standard keyboard and a body that emanates a sense of solidity, it delivers great playability and a persuasive stage presence. Just like its original version, the instrument is assembled in the United States, faithfully carrying on the quality, sound, and spirit of the original. Choose from three designs: Rev1, Rev2, or Rev3. Only a small number of each is being produced. 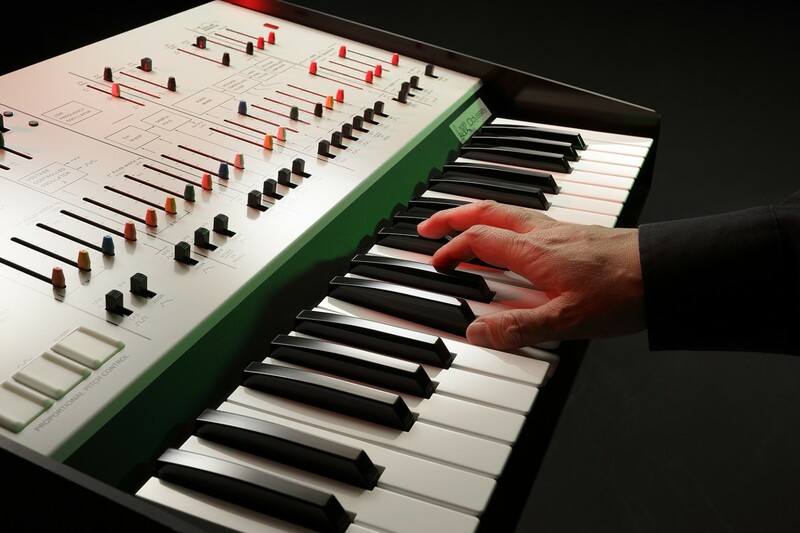 Don't miss your chance to obtain a full-sized ARP ODYSSEY – an instrument with decades of soul. 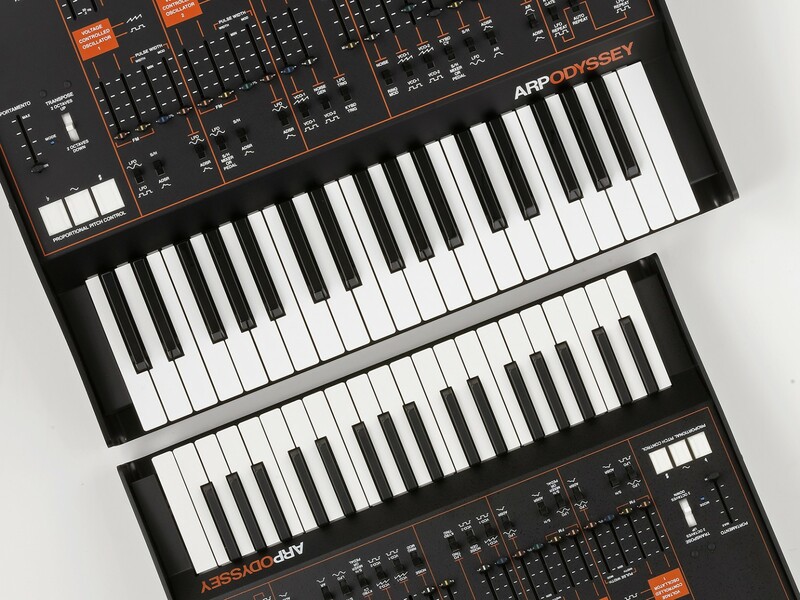 As an alternative to the 86% size ARP ODYSSEY with its compact slim keyboard, we've created the ARP ODYSSEY FS, a long-awaited full-size model with a standard keyboard. Featuring a spacious panel layout with faders that are smooth to operate, and a standard-sized keyboard for excellent playability, it's just what the synthesizer lover or keyboardist has been waiting for. 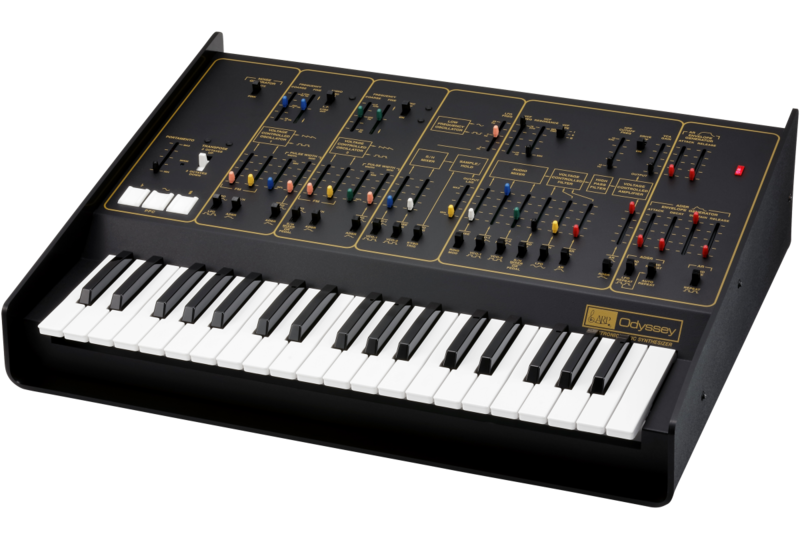 Most of all, its weight and essence are the precise image of the original ARP Odyssey. With analog sound that has already established a firm reputation, it is fair to say that this is a true resurrection of the ARP ODYSSEY. Now you can obtain a full-sized ARP ODYSSEY that's perfect in every area including sound, stability, appearance, and size, but with the reliability of a brand new synth. 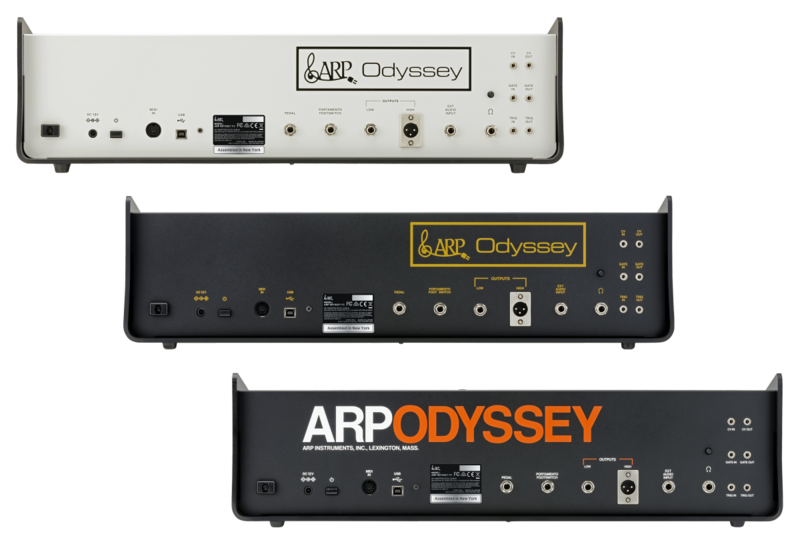 The ARP ODYSEY FS is shipped worldwide following its assembly in New York, USA. 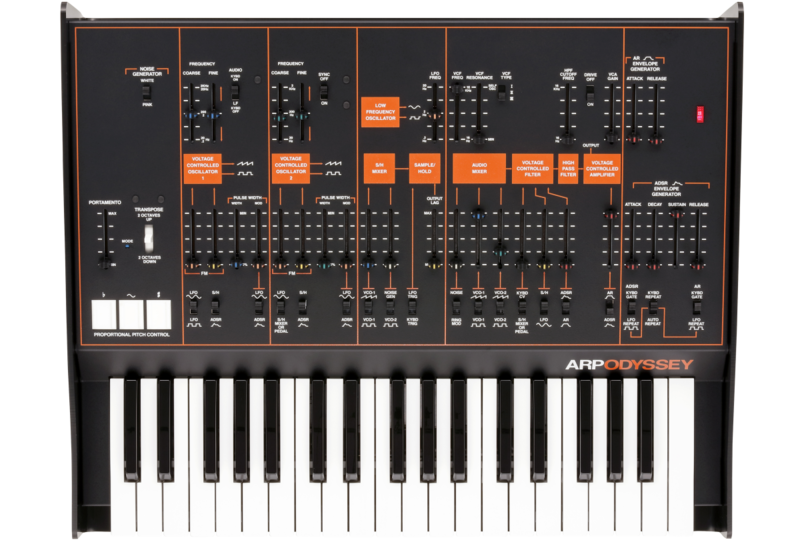 Skillfully and carefully assembled by a small number of experienced workers, the ARP ODYSSEY FS is then aged, and finally undergoes repeated testing, ensuring the highest level of product quality as befitting this full-sized instrument. 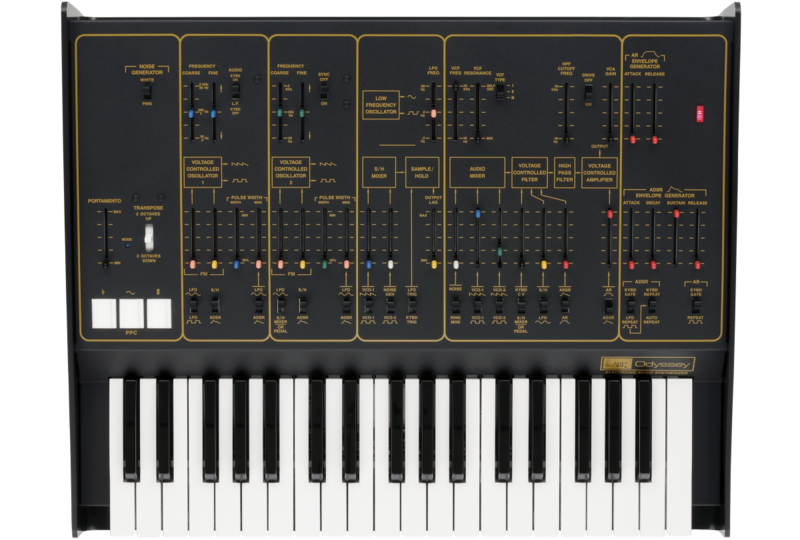 The soul of the ARP Odyssey that emerged here forty years ago is now being perfectly resurrected with its analog circuitry and build quality. 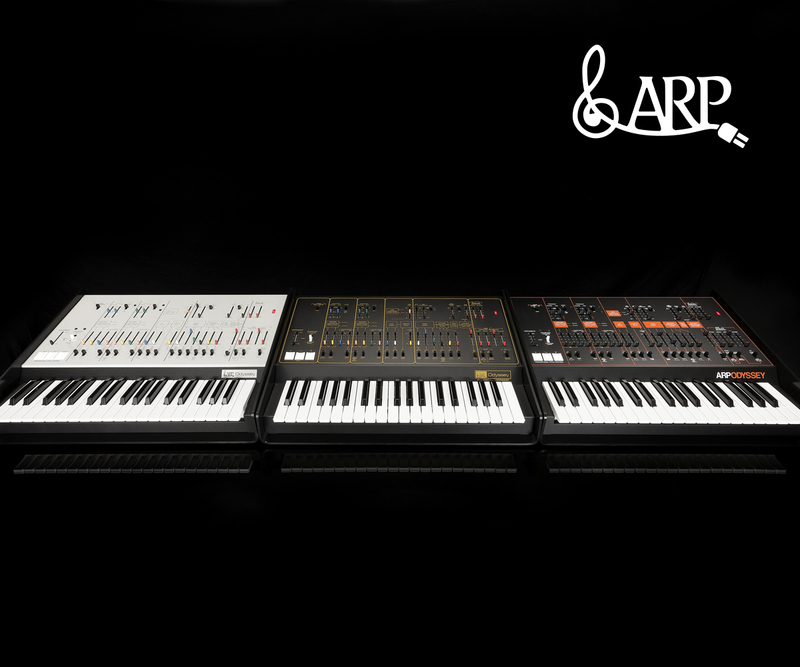 All models of the original ARP Odyssey, each representing its own era, are now available as full-sized instruments. Each full-sized unit has been designed with the greatest respect to the details and individual parts of the original: the white-paneled Rev1 (Model 2000) produced in 1972–1974, the Rev2 (Model 2810–2813) produced in 1975–1976 with its black panel and gold silk-screening, and the Rev3 (Model 2820–2823) produced in 1978–1981 that featured an iconic black panel and orange silk-screening. 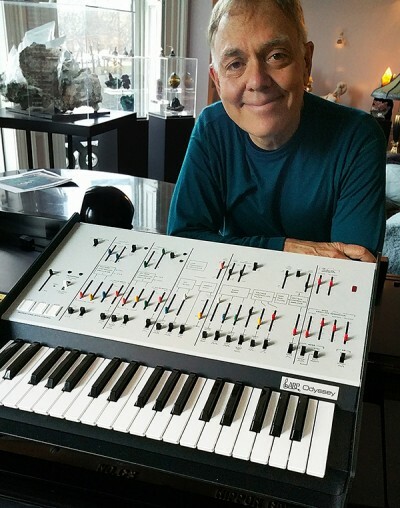 “When I look at the front panel of the ARP ODYSSEY FS, it reminds me of all the thinking and decisions that went into the design. 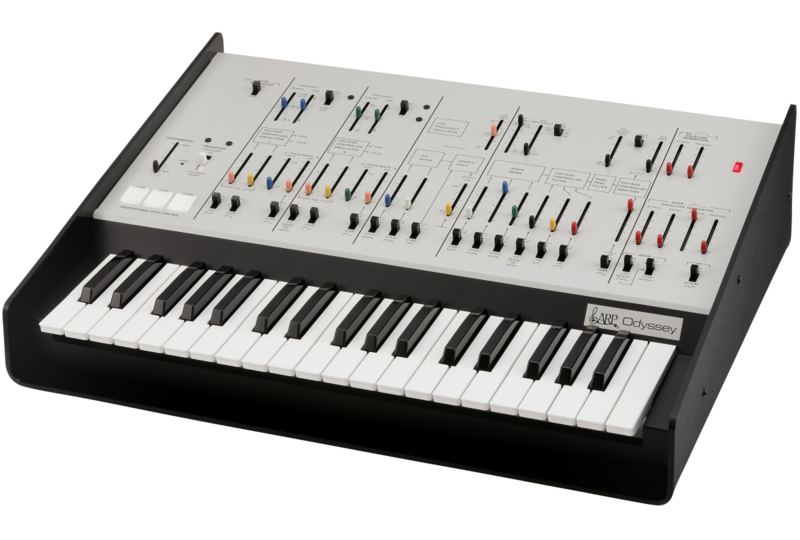 The ARP Odyssey was our first synthesizer without patch cords, so that meant that there had to be a limited number of ways that oscillators, filters, and so forth, could be connected. We tried to pick the connections that we felt would be the most useful. There’s always a trade-off between flexibility and ease-of-use. With patch cords, of course, you could connect anything to anything. But patch cords were too cumbersome to use on stage. 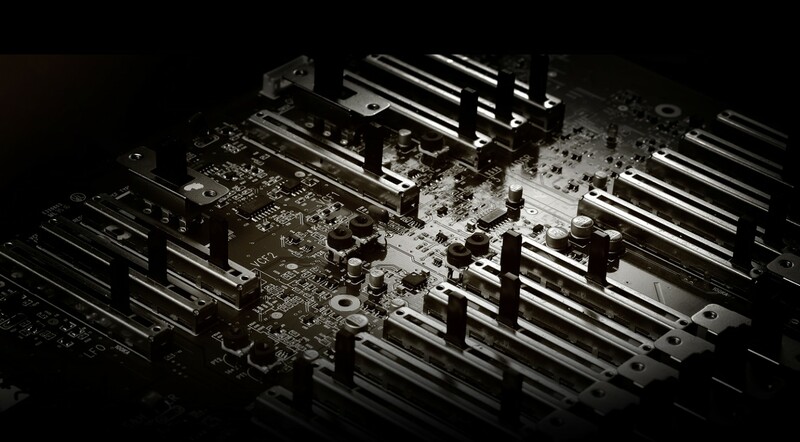 So we decided to get rid of them entirely, creating the first ARP aimed entirely at stage use. The ARP logo with the treble clef sign was designed by my wife, Margaret Shepherd, who went on to become a famous calligrapher and designer (she has written about 20 books on the subject). She also did the lettering on the panel using PressType, long before you could do layouts on a computer.